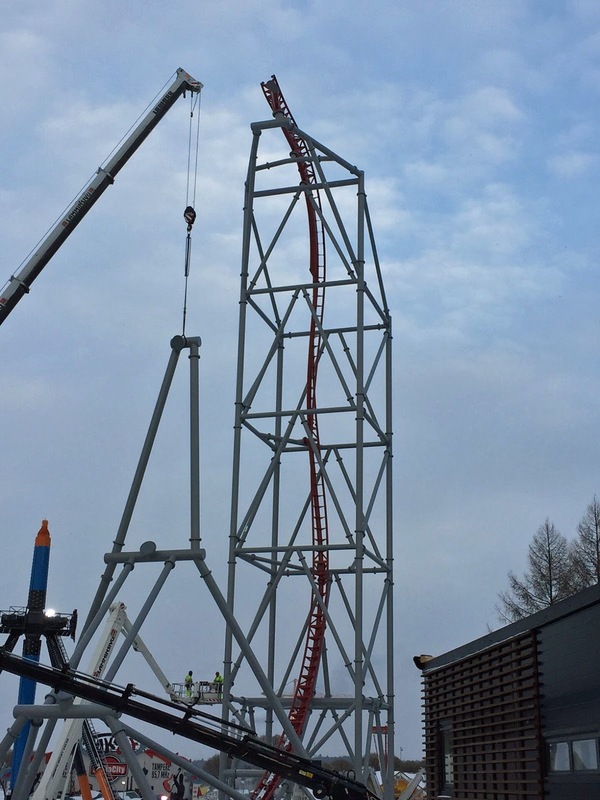 Despite freezing cold temperatures in Finland, crews are working steadily to build Hype at Särkänniemi Amusement Park. 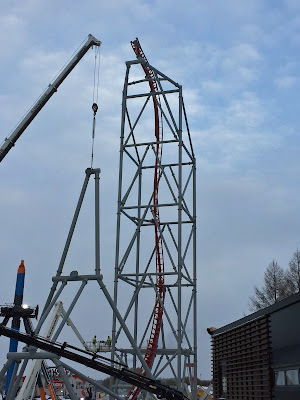 The triple-launch roller coaster was kept a closely guarded secret until just recently, when the park started to put the ride's steel pieces together. Hype is one of Premier Rides' Sky Rocket II designs, known for its 150 foot tall heartline roll and multiple launches. The coaster's train is first launched forward up to about 50 feet, then after falling backward it is launched again backward up to about 100 feet in the air. The train then is launched through the station a third time where it turns 180 degrees as it heads up to the 150 foot high point (seen in the photo above). The trains then move through a slow heartline roll, a vertical drop and a non-inverting loop element. Hype will be the first major new roller coaster at Särkänniemi in more than a decade and is the single largest project they have ever completed.